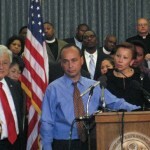 The Missionary Oblates JPIC office applauds Congressman Luis Gutierrez’s leadership in introducing the Comprehensive Immigration Reform for America’s Security and Prosperity Act (CIR A.S.A.P.) 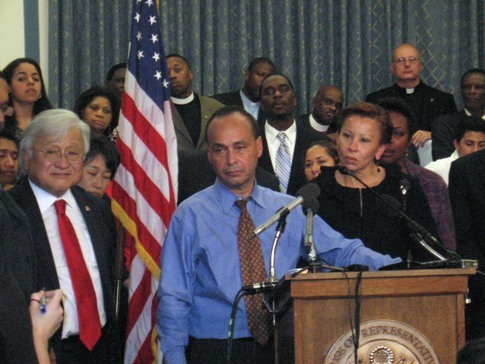 in the House of Representatives, This bill lays a foundation to fix the broken immigration system in 2010. It was introduced on December 15 with 89 original co-sponsors including members of the Congressional Hispanic Caucus, Black Caucus, Asian Pacific American Caucus, and Progressive Caucus. The Comprehensive Immigration Reform for America’s Security and Prosperity (CIR A.S.A. P) Act of 2009 offers enhanced border protection, allows for immigrant families to reunite, and provides a way for many undocumented immigrants to earn legalization. Read a summary of the CIR A.S.A.P here. 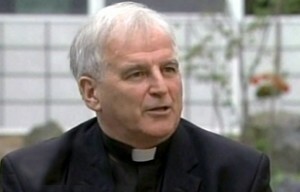 This immigration bill (CIR A.S.A.P) is released just as U.S. Catholics prepare to celebrate National Migration Week 2010 scheduled for January 4 – 10 under the theme, Renewing Hope, Seeking Justice. Thirty-eight members of the House of Representatives sent a letter to Secretary of State Clinton calling for active leadership to protect civilians in the conflict and to press the GOSL to allow aid workers and journalists into the conflict area to minister to their needs. A similar letter was sent to Susan Rice, Permanent Representative of the United States to the United Nations.